You may have noticed me talking a lot about e-books lately. That’s because I’m excited about them, and the opportunities they present for readers and authors alike. E-books have several advantages over paper books: they cost less to produce and distribute, they’re better for the environment, they can be downloaded instantly, thousands can be stored on a single device, they never get old or have pages fall out, you can search them and pop up word definitions, etc. People who try them generally like them. A lot. And we realized we read for the words, not the “feel” of paper or the smell of glue. But what if you don’t know where to start? It’s easy to get started reading your first e-book. No, you don’t need a special e-book reader, you can read them on the computer or smartphone you already have. And they’re generally cheaper than printed books. Since anything published before 1923 is in the public domain in the U.S., you can even read thousands of great classics (Hamlet, Alice in Wonderland, Sherlock Holmes, Pride and Prejudice, etc.) for free. You can download them in PDF, plain text, or as a webpage (HTML), any of which are easy to read on any computer. For selection and ease of use, you can’t beat Amazon. The best way to read them is on a Kindle, of course, but Amazon makes free reading apps that let you read Kindle e-books on PCs, Macs, Blackberries, iPhones/iPods/iPads, and more. You can browse and purchase books (including free books) from Amazon, and you can read them with any of their reading apps. It will even “sync” your location, so if you get to Chapter 3 on your PC, you can pick up your iPhone or Kindle and start reading where you left off. Pretty cool. If you’d like to read on a computer or laptop, just click the “Buy Now” buttons in the column to the right and pick up a copy in PDF format, which can be easily read on any computer. Grab just the first, or splurge and get the “Combination Package,” which gets you 3 novels for less than the cost of a movie. If you buy them through my site, I will also send them to you in any format you may need, now or in the future, so you can put them on that Kindle or iPad you get for your next birthday. Want to read through Amazon, on your Kindle, computer, Blackberry, iPhone, iPod, or iPad? One-click them from Amazon. Do you own a Nook? Pick them up at Barnes & Noble. How about another e-reader: Sony, iRex, BeBook, CyBook, etc.? Smashwords has you covered in any conceivable file format. Did you just get a shiny new iPad? Want to try out the iBook Store? Annoyed that most e-books there cost $15? My e-books are still under $3 in the iBook Store (or just search for my name from your iPhone or iPad). Once you get hooked on e-books, you may want to consider picking up an e-book reader. There are several options. My favorite is the Kindle 2 for $259 (UPDATE: the newer Kindle 3 starts at just $139), but Barnes & Noble’s Nook or the Sony e-readers make fine choices as well. 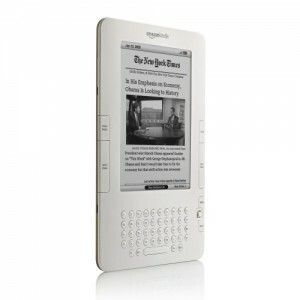 There are even some $99 LCD-based e-readers cropping up, although they’re harder on the eyes and not as easy to use. On the other end of the spectrum, you can buy yourself a fancy iPhone or iPad and use those to read (if you can tear yourself away from games and Facebook). 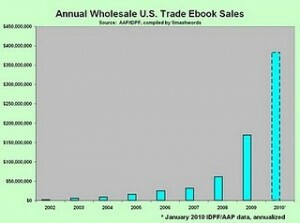 E-books are the future. Sure, there will always be printed books, just like we still have radio and horses, even though TV and cars are quite popular. Why not give e-books a try — for free or just a few bucks — and see what all the fuss is about? As some of you no doubt know, I am an attorney. By this, I mean that I went to law school, graduated, passed the CA Bar exam, and worked as an attorney at a law firm for several years. That makes me an attorney. Pretty simple. But I also write novels. I am an author. But, am I a “real” author? A “professional” author? What does that even mean? Hell, there must be more than 200 state lottery winners each year in the U.S., and they probably make at least $1 million. Better odds than writing. So, what defines a “professional” writer? When can an author call himself a “professional”? Is it if he “makes a living” (is one of the 200)? Is published through a traditional publisher? Sells X number of books? Earns more than a certain dollar amount per year by writing? Has written more than a certain number of books? Let’s say you get signed by a large publisher because it thinks your book will be profitable (not “good”–big difference). The standard first contract for an unknown author (i.e., not Sarah Palin, who doesn’t actually write–is she an author?) is a $5,000 advance and 8% of royalties after that. About 80% of books never make it to the “after that” stage–they don’t earn the author anything beyond the initial guaranteed $5,000. And publishers give most first-time authors very little or no publicity, no big display at Barnes & Noble, and if your books don’t sell well in the first month, they’re yanked from the shelves and they go out of print. You just made $5,000, on a book you probably spent at least a year on. Most authors spend that $5,000 trying to promote their own books. Is that guy a professional author? What if I make $5,000 selling books on my own this year? Am I a professional? The good news is that the game is changing. Readers are starting to get sick of much of the “traditionally-published” stuff, which is often formulaic and appealing to the lowest common denominator. Just as with indie music and movies, people are looking for new voices and books that the big publishing companies didn’t deem “marketable” enough to sell. And now, with e-books, the self-publishing movement, and Amazon (the world’s largest bookseller), all those lines are being blurred. For very little money (and a whole lot of time), an author can format their own e-books and distribute them on Amazon’s virtual shelves right alongside Stephen King and Isaac Asimov. And, since print publishers are trying their best to kill e-books to protect their hardcover book sales, it gives little guys like me a chance. 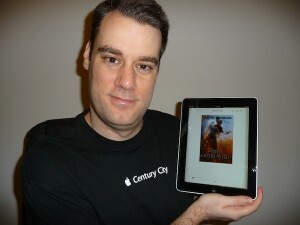 So far in 2010, I’ve sold over 3,000 books (mostly e-books, and mostly through Amazon). Does that make me a “professional” author? I’m completing my third novel, The Twiller, which should be out in a few months. Is that enough? Stephen King said you’re a “professional” if your royalty check doesn’t bounce, and it pays the electric bill. My royalties this week already paid the electric bill for the month. But what about rent? I made it to #1 on Amazon’s “Technothriller” best-seller list, and #479 overall in the Kindle Store (out of almost 500,000 e-books), which puts me above 99.9% of all e-book titles. Do I qualify? And what about, you know, actually being a good writer? Does that even matter at all? I can name plenty of best-sellers that are horribly written, but their authors rake in the cash. I actually don’t know the answer, and I’d love to hear your thoughts, so please leave a comment below. But I do know that I’m giving it a shot. More on that in my next post. Yesterday was my wife’s birthday, and we somewhat spontaneously decided on her birthday present the night before: an iPad. We hadn’t pre-ordered, so we stayed up all night and went to stand in line at the Apple Store at 6:30 AM. All went well, and we came home with a new iPad (Wi-Fi model) yesterday. So far, I like it more than I thought I would. It’s a good size for web browsing, pics, and stuff. And gaming on it is really fun (we did not have an iPhone or iPod Touch before). Now, we didn’t leave the house yesterday, so the size and weight and lack of 3G connectivity has not been an issue. And it’s still new and “cool” … will we still use it as much in a few months? One big reason I like it is because the battery is impressive. Reviews said it gets 11-12 hours of movie watching, and with heavy use yesterday it lasted all day, probably 12 hours or so before we recharged it. That’s very good — although not Kindle territory. As for reading books, I poked around on the Apple iBook Store (and was pleased to see Right Ascension and Declination show up on there, for just 99 cents each, on the day of launch!). I haven’t tried reading on it for any length of time (I’ve mostly been setting it up, downloading apps, and playing games). The bigger screen is nice, and a good battery is a plus, and the navigation seems simple (like the Kindle). Things like page turns, going to your library and picking a book, dictionary lookups, and changing font sizes are all easy and intuitive. On the minus side, it’s heavier than a Kindle and 12 hour battery life is a far cry from 2-week battery life. Also, there is no text-to-speech, as there is on the Kindle. And I still think it will be much easier to read on the Kindle’s e-Ink display. Also, to compare apples to Apples (as it were, capitalization intentional), you’d have to compare the Kindle 2 (at $259) with an iPad 3G with wireless built in ($629 + $720 for 2 years of service = $1,349). So it’s really not in the same ballpark as a reader. Yes, you may be able to find other uses to justify the price differential, but I don’t really see them as direct competitors, even though the media is obsessed with the comparison. Now, will people read on the iPad? That remains to be seen. I don’t really think so, although even a small percentage if there are tons of iPads out there could add up to something. I still think real readers will get a K2. I will say one downside for independent authors: Amazon is great at helping people find stuff with their “people who bought this also bought,” their genre best-seller lists, etc. But on the iPad, unless you’re one of their 5 or 10 “featured” big-name books, you gotta search for what you want. So, I wouldn’t expect nearly as many sales through the iPad as Amazon, since no one can “stumble upon” me … they need to be looking specifically. Anyway, those are my early thoughts. I’m gonna take it down to my family’s place for Easter dinner tonight and see how it works on-the-go. I’ll use it for a while longer and try reading a whole book on it and give you my further thoughts in a week or so. What do you think? Is the iPad a “Kindle-killer”? An overpriced, but fun, diversion? A laptop replacement? The future of all things? Leave a comment below and let me know your thoughts…. Please enjoy this interview conducted by our friends over at The Indie Spotlight. David Derrico was born just north of Miami, Florida, and developed his appreciation for complex moral issues while receiving a degree in philosophy from the University of Florida in Gainesville. He wrote his first novel, Right Ascension, before attending law school at the University of California, Berkeley School of Law (Boalt Hall). Derrico has written two novels: Right Ascension and its sequel, Declination, and currently lives in South Florida where he is working on his next novel. Set in the year 3040, Right Ascension examines mankind’s place in the Universe, how we ascended to that lofty position, and the horrifying price of that ascension. Humanity’s position of political and technological dominance within the galaxy is suddenly shattered when a sleek alien vessel arrives unexpectedly at Earth. Admiral Daniel Atgard and the crew of the Apocalypse embark on a mission to find these enigmatic aliens, but the focus of the mission quickly turns from finding answers to exacting revenge. Meanwhile, a belligerent species of reptilian warriors, seeking to avenge a previous defeat at the hands of the human-controlled United Confederation of Planets, takes this opportunity to plan an all-out assault on Earth. Faced with overwhelming odds and the terrible knowledge of mankind’s most horrifying secret, Daniel must choose between honor … and humanity’s very survival. The first draft of the book took about 10 months to write, plus another solid month of editing. I’d say almost a year. However, several years later, I went back through and did a cover-to-cover proofreading and edit, including adding a couple of scenes. I have enjoyed reading and writing for as long as I can remember. I broke my arm when I was 2 1/2 years old, and my parents tell me it happened when I was climbing on a stool to reach a book on a high shelf. As a kid, I read lots of Piers Anthony and C.S. Lewis. I have always enjoyed creative writing, I enjoy storytelling and using the amazing diversity and depth of the English language. After getting a degree in philosophy from the University of Florida, I became interested in exploring ethical issues in a much more interesting and accessible way than what gets presented in philosophy textbooks. So, the idea of an action/adventure science-fiction novel that explored deep moral issues was born. I’m generally a night person, and I found myself often staying up all night writing until 8 AM or later. It helped that I wrote the book while working at a job that was not very demanding, as I’d find myself thinking about the novel all day, percolating ideas even when I wasn’t writing. It was very helpful to be able to start writing pretty much whenever the inspiration struck me. Before I started writing, I actually developed detailed character sketches of each of the main characters: physical description, history, family, background, morals, motivation, personality, etc. I found that having realistic characters caused many parts of the book to almost “write itself,” as I found myself saying, “Well, this character would react to that by doing this…” After the first couple of chapters, I also realized that I needed an outline in order to maintain the pacing of the book, keep the sense of continuity, and foreshadow important elements that came to fruition later. Outlining was the hardest part for me; once I outlined a chapter or two, the actual writing came relatively easily. As for research, I did a fair amount of research, mostly involving astronomy, physics, and astronomical distances. My book does not focus on the “hard sci-fi” method of describing technical details of things like hyperspace drives or force shields, so the research was not overwhelming, but enough to make sure everything was realistic. I hope, first and foremost, that readers enjoy the book. That they are sad for the last chapter to end. I hope they identify with the characters and come to care about what happens to them. And I hope that maybe, just maybe, they think a little bit about their own ethics and morality and I hope it inspires them to do the right thing, even when it is hard to do. My novels (Right Ascension and the sequel, Declination) are available through my own website, www.davidderrico.com, in both paperback and eBook formats. They are also available through Amazon.com, Smashwords, and Barnes & Noble.com. I have a Facebook Fan page at www.facebook.com/NovelAuthor where I post news, discussions, and free giveaways.